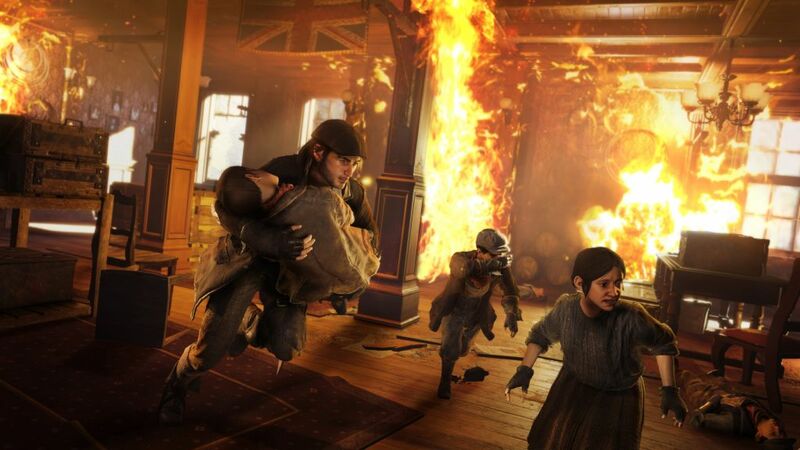 Twin assassins Jacob and Evie Frye are eager for more meaningful adventures, so they leave behind their hometown of Crawley and hop a train to jolly ol’ London, England, a city that’s been under the influence of the Templars for almost a hundred years. What will it take to liberate London and return the city to its people? 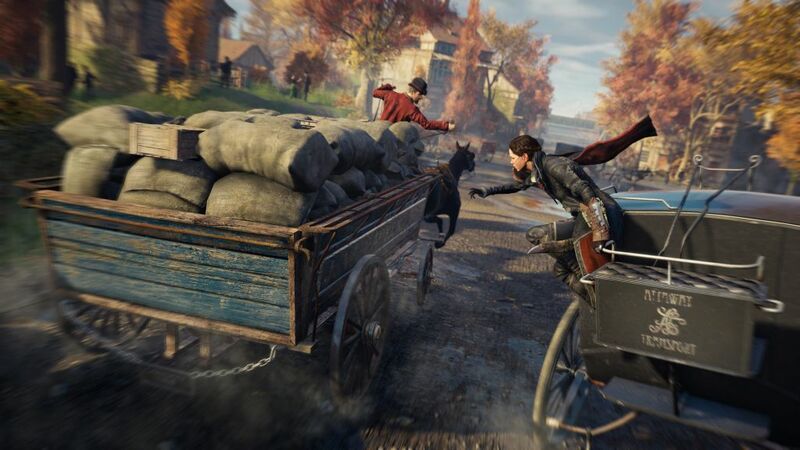 This is Assassin’s Creed Syndicate. Let’s address the elephant in the room. We all know last year’s installment, Assassin’s Creed Unity, launched in an unfinished state. Performance issues, sluggish controls, and numerous bugs and glitches that were well documented around the Internet, all contributed to an ultimately disappointing experience. 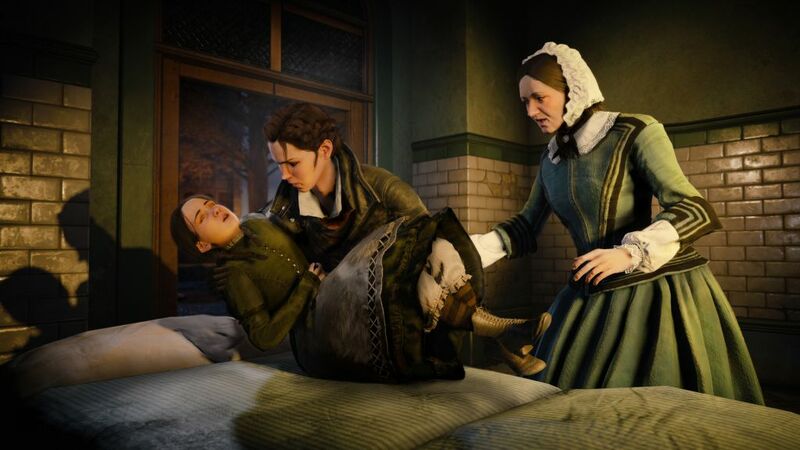 Thankfully, Assassin’s Creed Syndicate suffers no such fate – it performs leaps and bounds better than Unity. 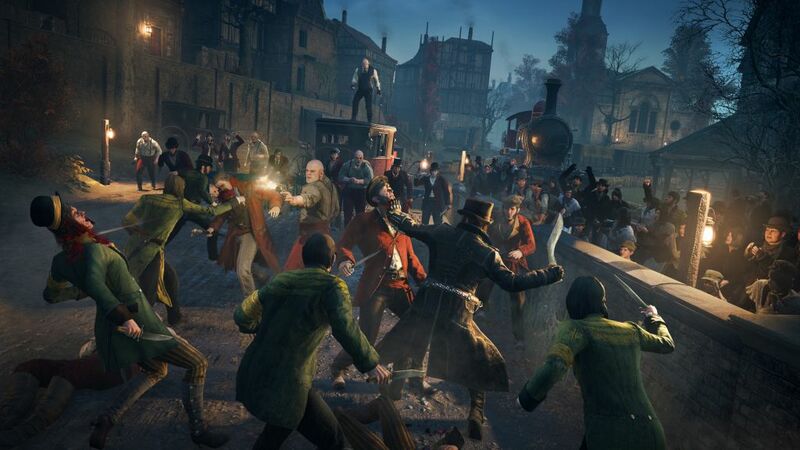 In fact, Syndicate’s Victorian London is arguably the best-looking sandbox crafted to date. Exquisitely detailed, you could spend hours simply wandering the streets of The Strand, a borough known for its many shops and music halls; meandering through Westminster, the political center of the British Empire; going for a stroll along the River Thames; or just taking in sights like Trafalgar Square, Buckingham Palace, Westminster Abbey, London Bridge and Scotland Yard, just to name a few. The environments, visual effects and animations are stunning, and are equally matched by an aural experience highlighted by excellent voice work – with proper accents this time – particularly Victoria Atkin and Paul Amos as Evie and Jacob respectively, and a memorable orchestral score by composer Austin Wintory. Not just easy on the eyes, Victorian London is bustling with activity. There’s no shortage of things to do, people to see, quests to complete, and collectibles to…collect. Alexander Graham Bell, Charles Darwin, Charles Dickens, Karl Marx and Frederick Abberline are just some of the historical figures that could use your help in way or another. Even Queen Victoria seeks your aid in a series of missions that unlock upon the conclusion of the campaign, extending what is already a healthy 30-40 hour experience even further. 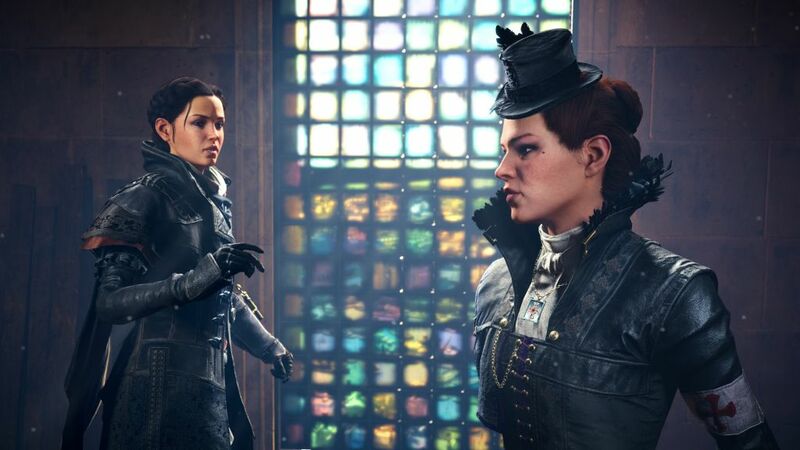 Unfortunately, from a narrative standpoint the campaign isn’t that compelling, which is surprising considering Jacob and Evie make a great pair of protagonists – twins with opposite personalities. Evie thinks before she acts, prefers the means of stealth, and is on a mission to procure a new Piece of Eden before the Templars do. Jacob is far more brash and confrontational. He seeks to start his own gang, use it to infiltrate the underbelly of the city, and assassinate every last Templar regardless of the consequences. The prologue does a good job of establishing this family dynamic, but it’s neither explored nor exploited enough until the final mission. There’s but a single twist in the story – a clever one that occurs fairly early on – and it gets resolved immediately. Pacing is also a bit of an issue as the plot fails to escalate to its climax. You spend the better part of the campaign exposing and assassinating villain Crawford Starrick’s corrupt cronies, and the final confrontation is with a man in a magical cape? Not only is the final boss battle very similar to that of Assassin’s Creed Unity, it’s a repetitive affair that comes completely out of left field. Considering I preferred Evie’s character to Jacob, it was also a little disappointing to see the latter receive most of the attention toward the end of the story. As for the meta-story, it’s relegated to a handful of cutscenes wherein present day Assassins Shaun Hastings and Rebecca Crane are searching for the same Piece of Eden as Evie. I’m fairly certain Ubisoft is flying by the seat of their pants when it comes to the meta-story. At this rate of nuttiness, if the series ever reaches a proper conclusion, that final installment is sure to be absurd. 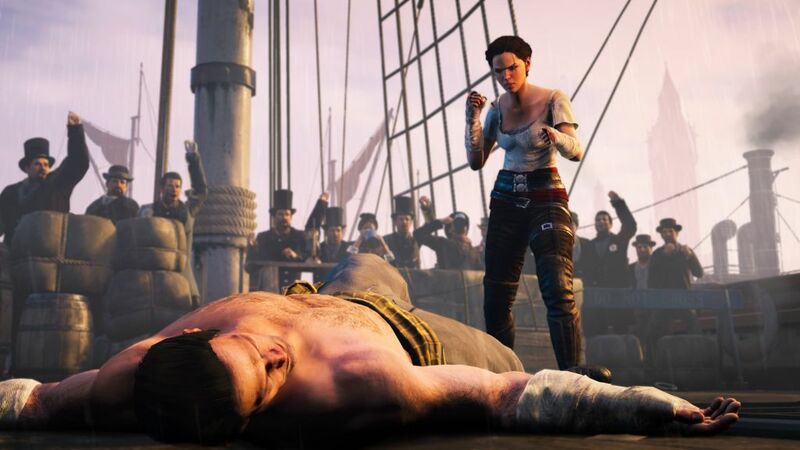 I can’t imagine how someone new to Assassin’s Creed even begins to comprehend what’s going on here. Luckily, the narrative shortcomings don’t mar what is otherwise an enjoyable sandbox experience. The twin twist is one of a handful of unique elements in Assassin’s Creed Syndicate. 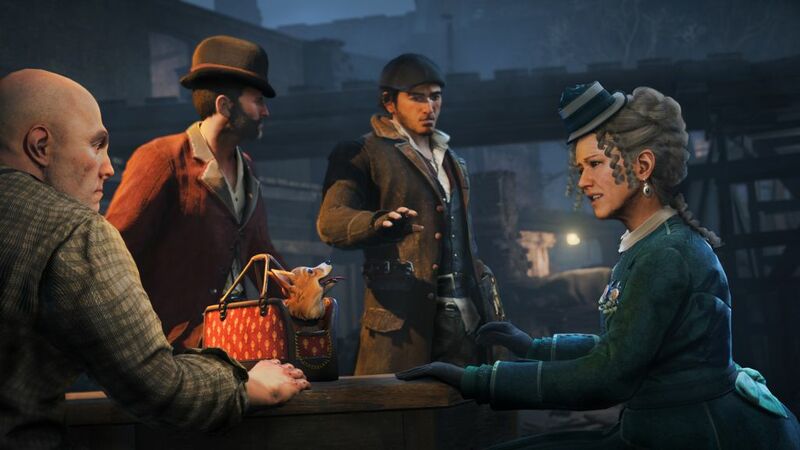 You can switch between Jacob and Evie at any time, except when you’re engaged in a character-specific mission or while aboard your cleverly situated hideout – a moving train. 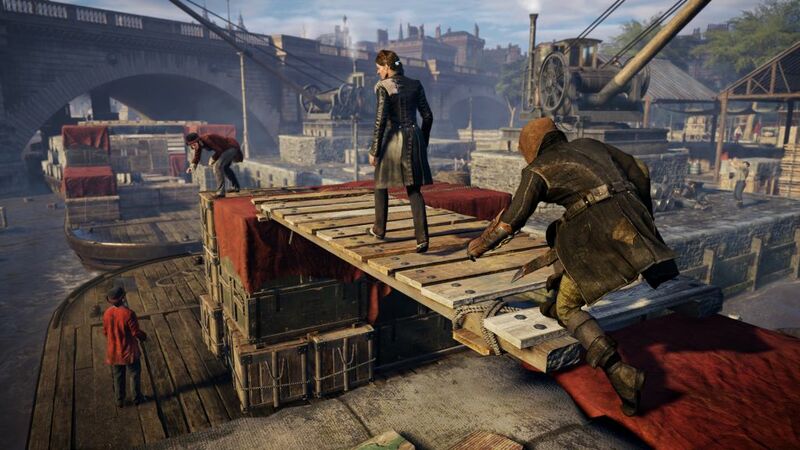 Jacob and Evie share inventory, XP, resources and money, but they each gain their own skill points that you can use to tailor their play styles. 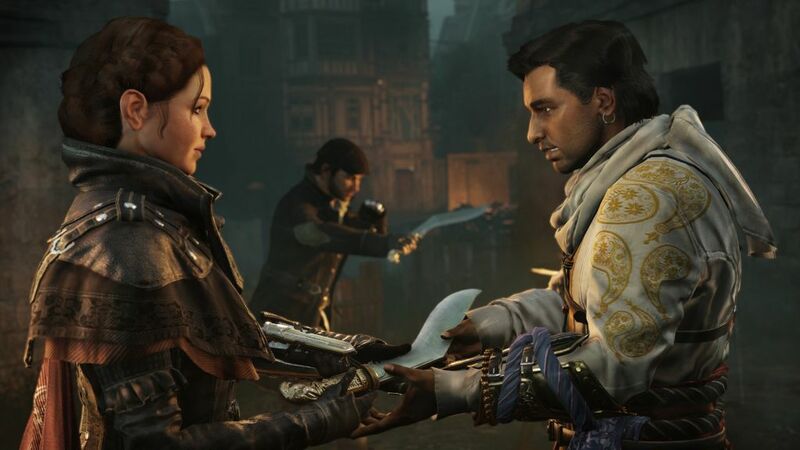 Early in the game you’ll want to focus on combat skills for Jacob and stealth skills for Evie, but eventually you’ll accumulate enough points to unlock just about every skill for both characters, save for a few skills exclusive to each. There’s a strong gang presence in Assassin’s Creed Syndicate. London is separated into seven boroughs and you can conquer each by completing a series of conquest activities that eventually leads to a gang war with the borough’s respective gang leader. Win and Jacob’s gang, The Rooks, will take over control of said borough. While it doesn’t decrease the number of rival gang members in the area that much (seriously, I can’t walk down any street in London without getting into a fight with The Blighters, who all seem to recognize me from a block away even though I just moved to this city), it does increase your gang’s presence, which can come in handy during missions and other activities. For instance, you might order your gang members to start a fight with police in order to distract them long enough for you to slip by into an otherwise-guarded area. Truthfully, I didn’t use The Rooks a whole lot, but they present additional gameplay opportunities for those who prefer a little mayhem to stealth. In addition, you can unlock gang upgrades that afford various advantages to your cause, such as increasing the skill level of your gang members, increasing your rate of income, or bribing police to turn a blind eye to some of your illegal actions. Combat remains a button-mashing affair that relies heavily on counters. 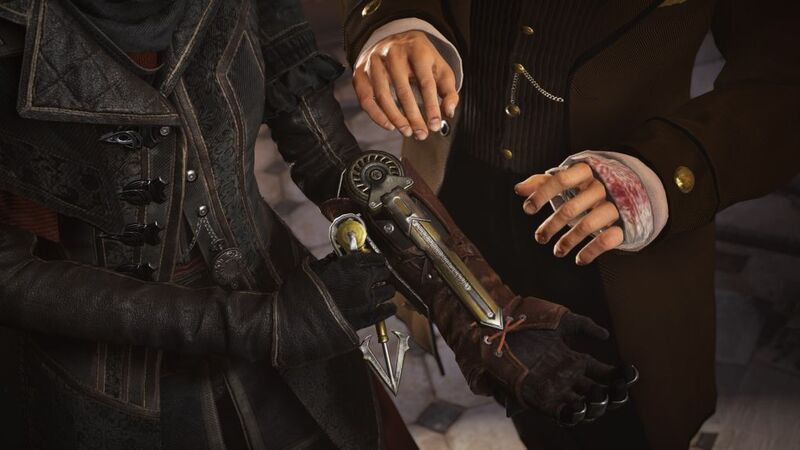 Kukri, brass knuckles and cane-swords are Jacob and Evie’s melee weapons of choice, all of which lend to an assortment of elaborate and brutal finishers. Firearms and other tools are also at your disposal, in addition to gauntlets, belts, capes and other gear that can be unlocked or crafted with resources and upgraded with British pounds. Courtesy of Alexander Graham Bell, the most notable new addition is a rope launcher that not only lets you ascend buildings and other structures at the press of a button, but also allows you to create zip-lines between them. 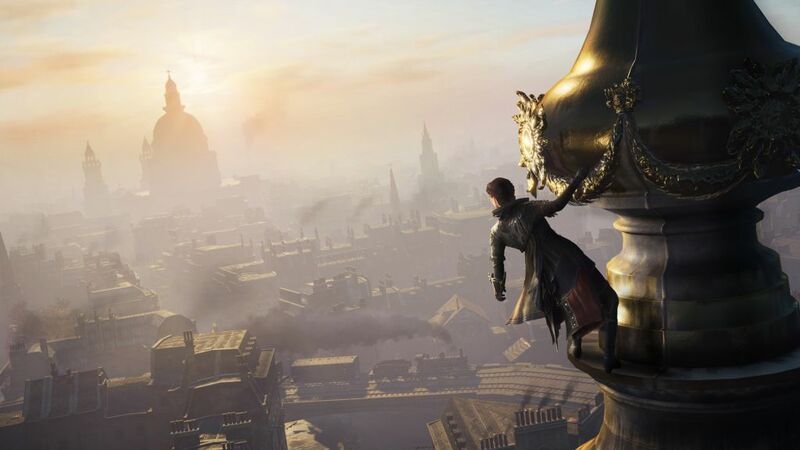 Purists might argue that the adrenaline rush of climbing to the highest peak of a soaring structure is part of the allure of Assassin’s Creed, and I would have to agree…3 or 4 installments ago. As the cities get denser and their structures more towering, it seems only natural to include tools that allow players to move around the environment a little more fluidly. Not only a time-saver, the rope launcher eases some of the frustrations of the imperfect parkour system. Speaking of getting around the city quicker, horse-drawn carriages help do exactly that. Carriages handle about as poorly as you’d expect, but at least the horses are ram tough. 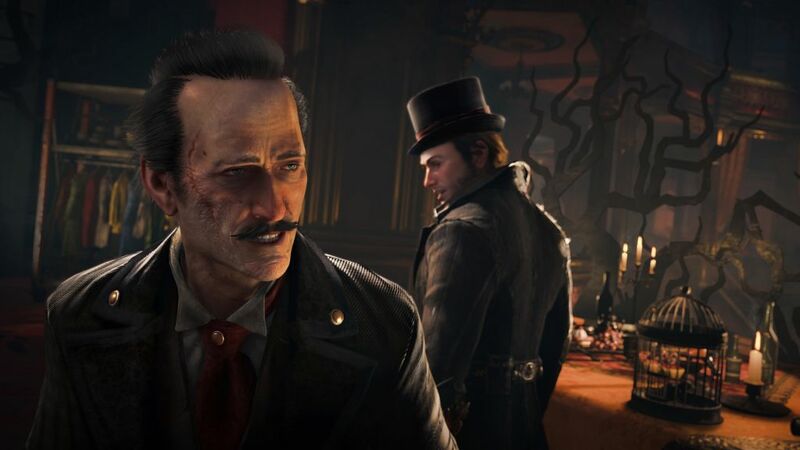 Noticeably absent from Syndicate is multiplayer; there is no co-op or competitive modes to speak of. I’ve never been a big proponent of the series’ multiplayer offerings over the years, so for me it’s not a big loss, but I know I might be in the minority when I say that. 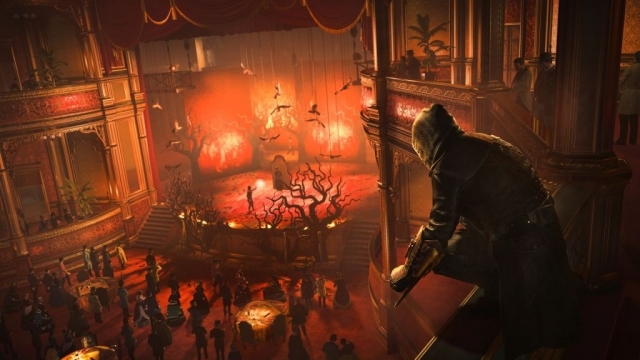 So long as you’re connected online, Ubisoft offers additional single-player content in the form of weekly community events. 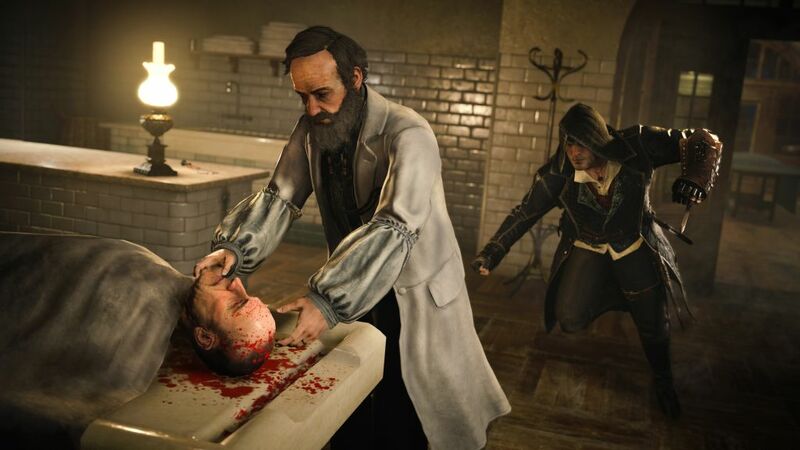 Syndicate is the most fun I’ve had with an Assassin’s Creed title since Black Flag. In terms of presentation and performance, it’s a jubilant return to form for the series. With its dynamic twin protagonists on center stage, the narrative should have been far more compelling, but it doesn’t detract from an otherwise beautiful and content-rich sandbox experience. 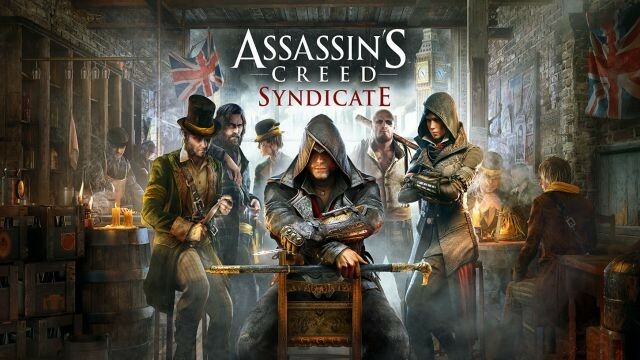 On the heels of Unity, Syndicate is an easy recommendation for Assassin’s Creed fans and a step in the right direction for this long-running franchise. 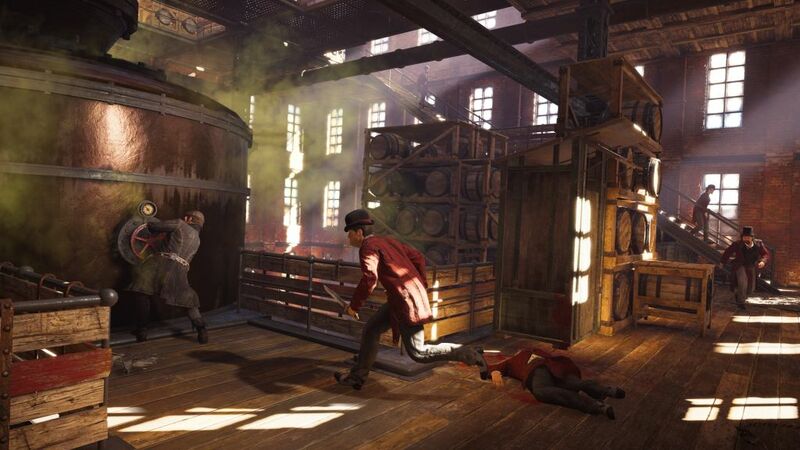 This review is based on a digital copy of Assassin’s Creed Syndicate for the PlayStation 4 provided by Ubisoft.